With his tragic death in 2012, seventeen-year-old Trayvon Martin became the first catalyst for the national Black Lives Matter movement. 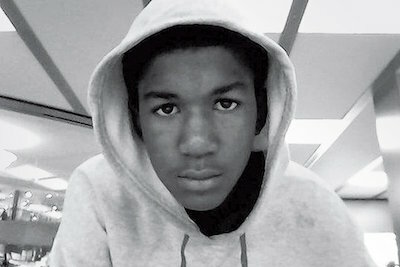 Trayvon Benjamin Martin was born to Sybrina Fulton and Tracy Martin in Florida on February 5, 1995. Fulton and Martin separated when Trayvon was four years old, and he grew up with his mother, eventually attending high school in the Miami Gardens area. Although interested in aviation and studying to become a pilot, Martin began to struggle in school as a teen and was suspended multiple times. During one of these suspensions in February 2012, Martin went to spend time with his father and his father’s fiancée, Brandy Green, who lived in a gated community in Sanford, Florida. On the evening of February 26, 2012, Martin left his father’s house on foot on a trip to the store, wearing a hooded sweatshirt. On his way back, Martin was spotted by George Zimmerman, a partly white and partly Latino neighborhood watch captain sitting in his SUV, who called 911 to report a ‘suspicious person’ in the neighborhood. Although instructed by the 911 operator to stay in his car, Zimmerman, who was armed with a handgun, approached Martin instead. After a brief confrontation, Zimmerman fatally shot the unarmed teenager in the chest. On April 11, 2012, George Zimmerman turned himself in after being charged with second-degree murder in the death of Trayvon Martin. Zimmerman’s bail originally had been set at $150,000, and he entered a plea of not-guilty. However, in early July, a judge reset the bail at $1,000,000, and Zimmerman was released after posting the required 10 percent bond. On June 20, 2013, a six-person jury was selected with opening statements in the trial of George Zimmerman, taking place on June 24. The all-woman jury had three choices: guilty of second-degree murder, guilty on a lesser charge of manslaughter, or not guilty. After over sixteen hours of deliberation, Zimmerman was found not guilty on July 13, 2013. Amid memories of the Rodney King trial and aftermath, public service announcements discouraging violence began to run on radio and television stations around the country in the lead-up to the Trayvon Martin verdict. The actual announcement of the verdict triggered a number of mostly peaceful demonstrations in several cities across the United States, with the ‘hoodie’ sweatshirt becoming a key symbol of the protests. “Trayvon Martin Biography,” Biography.com, http://www.biography.com/people/trayvon-martin-21283721#synopsis; “Trayvon Martin Shooting Fast Facts,” CNN.com, http://www.cnn.com/2013/06/05/us/trayvon-martin-shooting-fast-facts/; Krissah Thompson and Scott Wilson, “Obama on Trayvon Martin,” The Washington Post, March 23, 2012. Washington Post, March 23, 2012.